Serving Newcastle & the Hunter with Quality Projects Since 1972 Proctor Building Solutions is a multi-award winning, provider of construction services specializing in prestigious residential, industrial and commercial construction projects. Based in Morpeth (Maitland), we service all areas of Newcastle, the Hunter Valley and surrounding areas. Our company employs certified Greensmart professionals for sustainable design projects. Specializing in custom new homes, renovations and extensions. Daniel and Ken can create a project that is uniquely yours, hallmarked with Proctor's trusted superior craftsmanship. All aspects are seamlessly integrated from conception to completion, with a dedicated Project Manager assigned to your entire project to oversee all aspects of the building process. 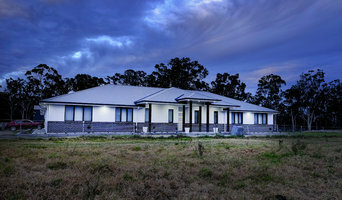 Proctor Building is a member of the Master Builders Association NSW and the Housing Industry of Australia, so you have peace of mind knowing you're using a team you can trust, and who are constantly up-to-date on the changes affecting vital matters such as industry codes and practices and safety issues. 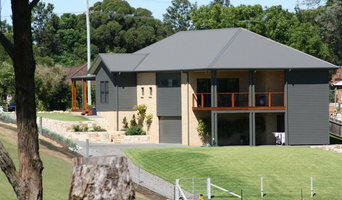 Williams Designer Homes Pty Ltd is a locally owned and operated residential building company in the lower hunter area. Specialising in the construction of new residential dwellings from individual plans at project prices. The Williams Designer Homes Pty Ltd Team strongly believes “Your Home is Our Business” and are committed to ensuring you believe this too, by exercising our core values in every interaction to create a culture of excellence we demonstrate our commitment to superior service, delivering quality homes on budget every time, nothing satisfies our team more than handing the keys over to another happy client. - Meet with Tony our Director to discuss all of your building needs, deal direct with the people building your home. - Receive a detailed fixed price quote that includes all basix, council fees, site costs and quality inclusions from the start. - Fast reliable quotes within 1 week. - Get a plan designed specifically for you. - We design your house to minimise cost to you including tailoring your plan to fit your block to minimise retaining. - Receive a unique login to our online project management system to view the progress of your house, photo’s, plans and selections. - Have your house built by the best trades, our quality will not be surpassed. - Receive the best customer service available in the industry from our friendly staff. P.Built Constructions evolved from a boutique Carpentry business run by owner Pat Williamson that looked to provide the same craftsmanship, Client satisfaction and focus on open communication on a larger scale. P.Built Constructions has aimed to improve its high standards and satisfaction on every project since the first. Refining our work mostly through architectural additions, and have developed our services to provide building consultation, design and construction. We have gained our knowledge through experience, and what we have learned ensures our Client's project outcomes are not only met but exceeded, through every step of the build process. Our high end residential building services include architecturally designed additions and alterations, architecturally designed custom homes, architecturally designed renovations and we are particularly adept at tight sites and difficult access. We relish in the opportunity to provide a craftsman’s approach in everything we do, not just our building. Our attention to detail across all facets of the project leaves our Clients fulfilled and happy to enjoy their new homes. We feel the essence of a true custom build comes from the Client, and see our company as the channel to provide those solutions. Our strength lies in our planning, by providing our Clients with comfort to make the important decisions to Redefine Home Life. Jedabuild is a boutique home builder specialising in custom renovations and decks requiring true craftsmanship. 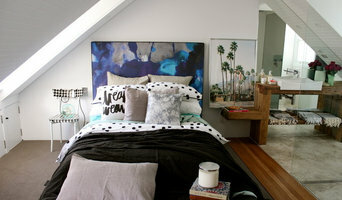 We work on high-end residential and largely with architects. Buildsmart Constructions is a Newcastle based building firm dedicated to providing clients the highest standard of service for exceptional value for money. 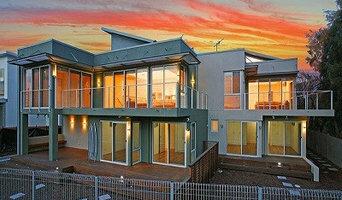 MADE is an award-winning construction company located in Newcastle, NSW. We specialise in bespoke built environments. Focusing on architecturally designed spaces, we combine a strong design understanding with technical perfectionism to deliver industry leading projects around Newcastle. MADE offers consultancy building from concept to completion, allowing us to be involved in all stages of the project, resulting in high-quality builds. With a hand-picked team as unique as the spaces we create, we ensure our brand stands steadfast behind our quality. Challenge MADE with your ideas, today! Buckton Building was established in 1998 by Stuart and Tracey Buckton. Stuart is the Managing Director and has over 25 years experience within the construction industry in the Hunter region. After 15 years working in supervisory and management roles in a well reputed Hunter company Stuart decided to start his own company and Buckton Building was formed. Since its beginnings Buckton Building has experienced steady business growth and developed a reputation for high quality personalised service. In 2007 we employ seven full time employees, with a reliable and diverse sub contractor network which is the product of over twenty fives years of strong business relationships. With these well founded supplier and sub contractor relationships we provide our clients with competitive prices and uncompromised quality service. With over 20 years experience within the building industry, NJG Constructions can deliver. We specialise in many areas of residential and commercial construction. All projects can be taken off your hands and managed by a professional team who knows the business inside out. All projects have a written contract. This gives you peace of mind knowing that the job will be done right the first time, within time frame, without compromising the final product. We have a pool of quality trades who can be trusted to get the job done. Our business is to provide a product that is high of quality, in both materials and finishes. Call for a no obligation free quote. References available. 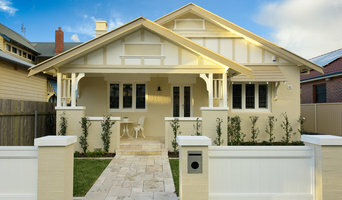 Sloane Homes are independent Newcastle Builders who have been in the home building industry for 18 years. From humble beginnings, we have built a tiny empire with an unfailing reputation for honesty, dedication, efficiency and consistency. We offer reliable service at dependably competitive prices. Classic is a premium builder of fine homes. At Classic we like to think 'outside the square' and strive to design and build homes that are unique but are unmistakable as another CLASSIC home. Express your creativity and uniqueness within one of Classic’s existing designs as a template or the team at Classic can create an entirely new design; in each case you work with us to customize the designs to suit sites, slopes, budgets, family size, and any other considerations... For more than 20 years Classic has taken pride in building homes for clients for whom value, aesthetics and sustainability are principal. Whether you’re undergoing home renovations or building from scratch, hiring the right home builder is essential. Your choice will determine the quality of craftsmanship, as well as how high your stress levels rise! A home design or building project is a huge and multifaceted undertaking, so it’s important to find a local Newcastle, New South Wales builder you can trust to bring your vision to life and keep the process under control. The Houzz professional directory of home builders is a great starting point to choose the right builder for your needs. What exactly do Newcastle, New South Wales home builders do? Before any nails are hammered down, construction companies perform market research to determine whether the prospective site for a new home in Newcastle, New South Wales makes sense. They also survey the land to make sure it is suitable for construction, and obtain any necessary New South Wales permits. Scroll through this page to find contractors in Newcastle, New South Wales. Then, click on a professional to browse photos of their latest projects and see how their work compares to the scope of your project. Read reviews to see how other homeowners rate their work, and message the home builder or construction company directly to ask any specific questions.